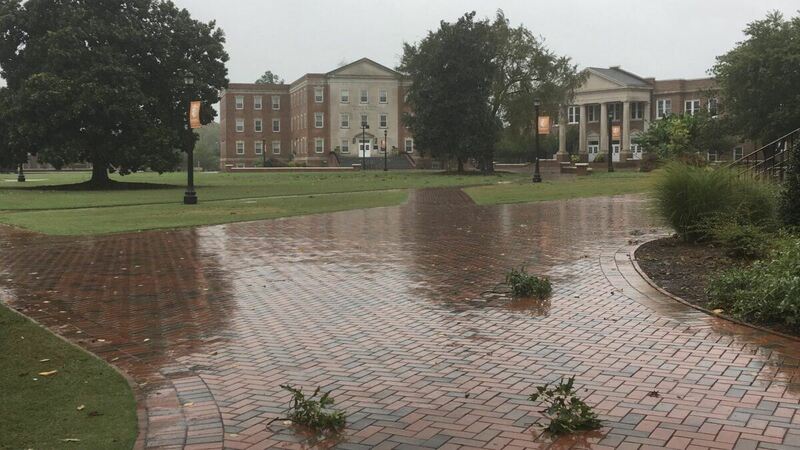 Aside from a few downed limbs and standing water in places, Campbell University’s main campus has experienced very few effects from the rain bands associated with Hurricane Florence early Friday. The National Weather Service reports that Harnett County has experienced wind gusts of over 40 mph and approximately 4 inches of rain through 2 p.m. Friday. The county is still expected to receive between 6 and 15 inches of rain when Florence clears out of North Carolina toward the end of the weekend and into next week. Campbell University activated its severe weather and emergency policy on Wednesday in preparation of Hurricane Florence, which made landfall on the North Carolina coast as a Category 1 storm. Described as a “slow-moving beast,” Florence is expected to crawl through the southeastern and central part of the state and into South Carolina through Sunday. 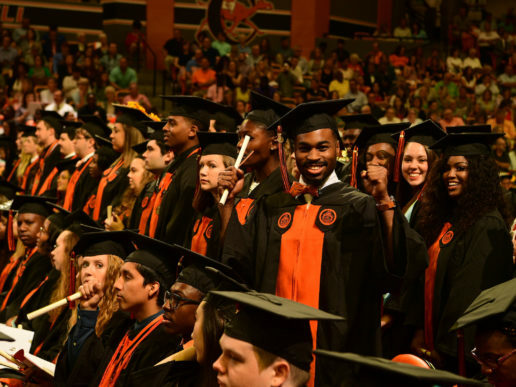 Campbell canceled classes on all campuses Thursday and Friday, and University officials will meet over the weekend to determine if classes on Monday are a possibility. 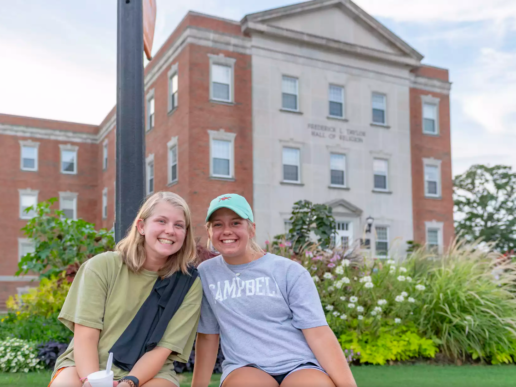 Nearly 300 student residents remain on Campbell’s main campus, staying in the University’s 11 on-campus dorms and apartments. Each residential facility is manned with directors and assistant directors to assist students throughout the storm. No power outages have been reported on campus. Marshbanks Hall and all campus dining facilities are closed today to prevent students from walking through potentially dangerous conditions for meals. Marshbanks staff distributed food to students on campus Thursday to bring back to their dorms. 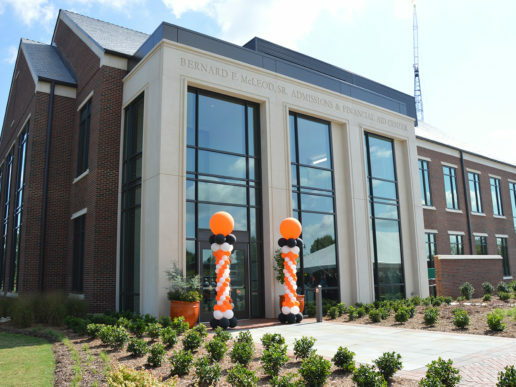 Marshbanks is scheduled to reopen at 9 a.m. on Saturday. Be advised, Flash Flood Warning now includes Harnett County. In anticipation of deteriorating road conditions, downed trees and power lines across the county, Harnett County Emergency Services is restricting all non-emergency vehicle travel after 5 p.m. Friday until 7 a.m. Saturday. The county is asking everybody to stay off the roads during this time. Duke Energy is reporting that 6,476 Harnett County residents have been affected by power outages in 175 locations through 2 pm. Friday. Due to a leak in the roof, Harnett County’s emergency shelter at Triton High School is being relocated to Harnett Central High School at 2911 Harnett Central Road in Angier. Everyone currently at Triton is being moved to Harnett Central. Anyone seeking shelter may begin arriving at Harnett Central High School at 4:30 p.m. Friday. This shelter will be pet friendly. There is also an emergency shelter at Overhills High School, located at 2495 Ray Road, Spring Lake. The Fayetteville Observer reports that this weekend’s expected rainfall could lead to “major flooding” of the Cape Fear River, with water rising above the “breaking point” of 58 feet. The Cape Fear runs near Campbell University, and several faculty and staff live in homes situated along the river.